Needing to find out what versions of VMWare we are running. Vmware can be back-ended by an Oracle, SQL Server, or postgres. I am just getting over a mishap I had with VMWare WorkStation Version 8. Not enough to do much with these days, and so I set out to increase it. 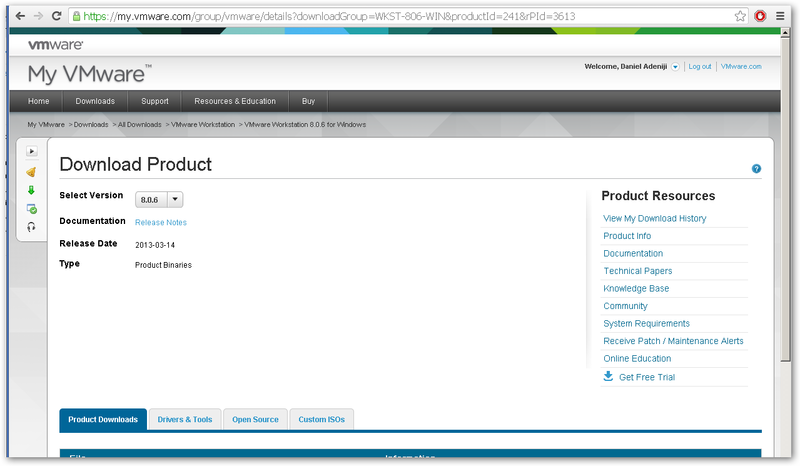 and reviewed available patches for VMware version 8. Please keep in mind that you need a VMWare Account. If you do not have one, you can create one on the fly. Again, tried to increase disk, but same error. Here are the steps prescribed. Let us clone the disk; that is create a copy of the disk. Again, keep in mind that you need sufficient disk to make a copy of the existing one. So you need about 1.5 * allocated VM disk space. Let us expand the disk image that resulted from our cloning exercise. 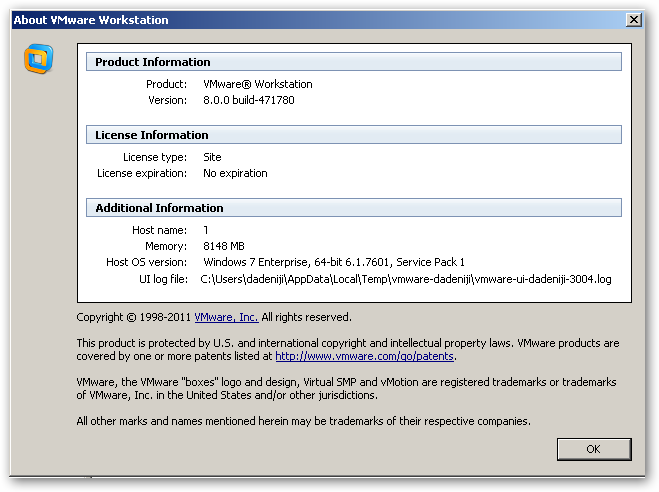 Through VMWare WorkStation, add new VMWare disk. Enter the path and file-name for the existing disk file, or click Browse to navigate to the file. 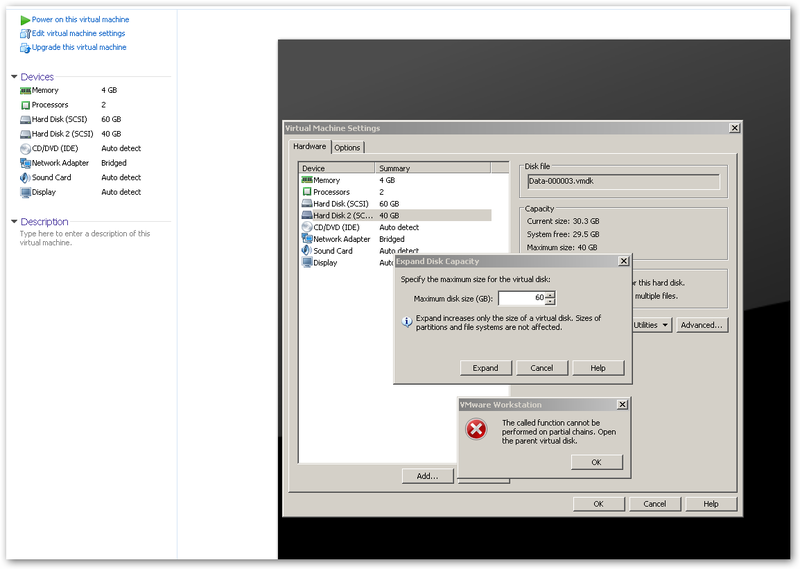 Through VMWare WorkStation, disconnect old VMWare disk. 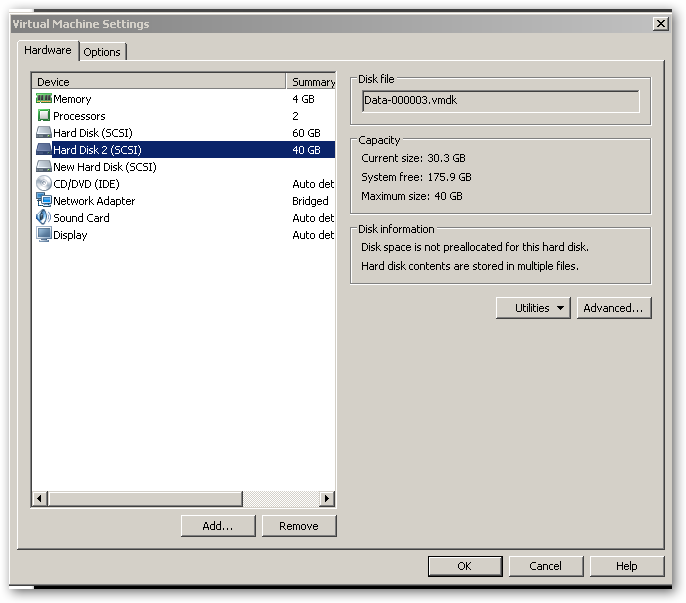 Use the virtual machine settings editor to disconnect a virtual disk from a virtual machine. 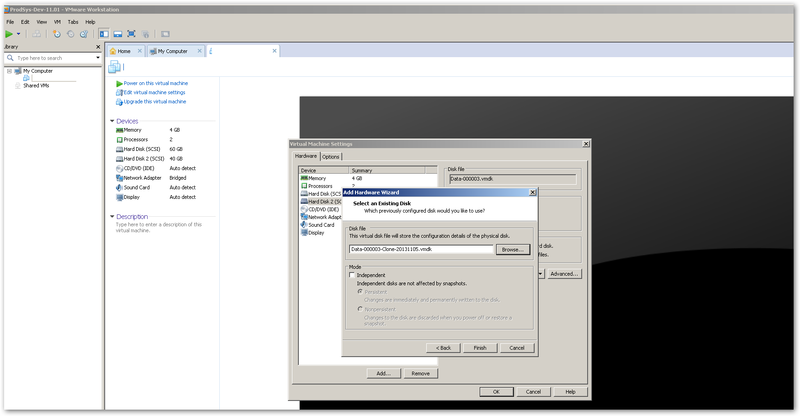 Select a virtual machine and choose VM > Settings. Select the virtual disk you want to remove. The virtual disk is disconnected from virtual machine. Use your Guest OS Native Tools to expand the Guest Disk unto the expanded space.